Event branding specialist Sunbaba was presented with the Access All Areas’ Supplier of the Year Award at the 2018 Event Production Awards. The ceremony was held at London’s Novotel West on Wednesday 28th February with more than 400 leading suppliers and event organisers in attendance. Sunbaba is at the forefront of event branding in the UK and has an excellent reputation for assisting clients with communicating branding, key messages and vital information to audiences of all sizes. 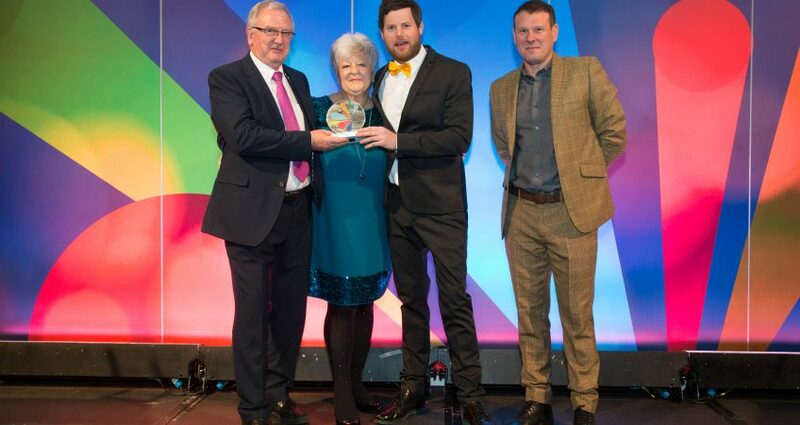 The criteria for the Access All Areas’ Supplier of the Year award included demonstrating how services were successfully utilised by event organisers and improved the organiser’s strategy, enhancing the delivery of the event. Other award winners on the evening included Roger Barratt from Star Events who received the Legend Award; Hyde Park, Venue of the Year and Isle of Wight Festival for Music Event of the Year.